0. Warm up: see variations below. A: Is there an (object) [on/under/in front of/behind/next to] the table? 2. Have the students do the writing worksheet & then go over the answers. 2. Go over the answers from the listening activity by saying the sentences again, and drawing the room on the blackboard. Read over all vocabulary with the students before beginning any activity. 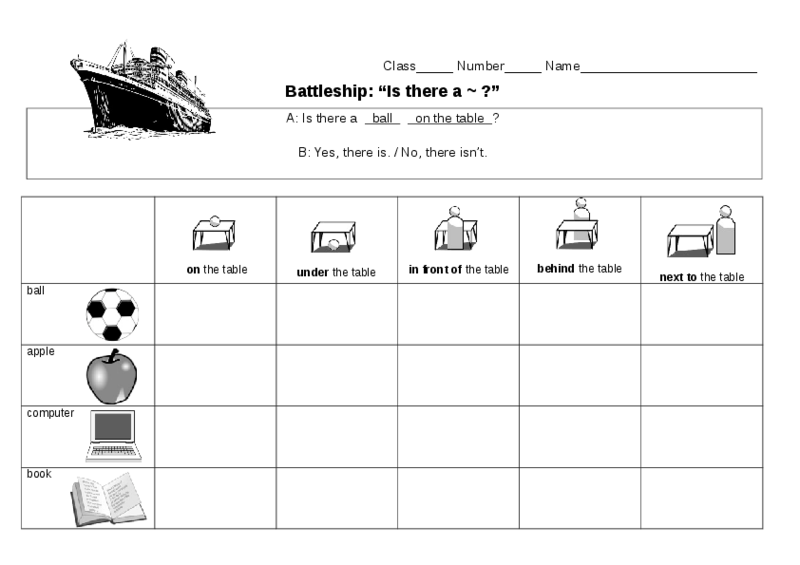 Also, have students put their battleship worksheets in their folders, or behind their textbooks, so they don't cheat by looking at each others' papers.